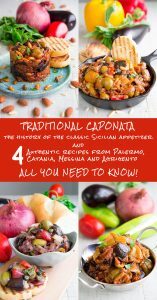 Along with the Agrigentina, the Messinese, and the Palermitan, the Catanese is one of the most famous Sicilian Caponatas. 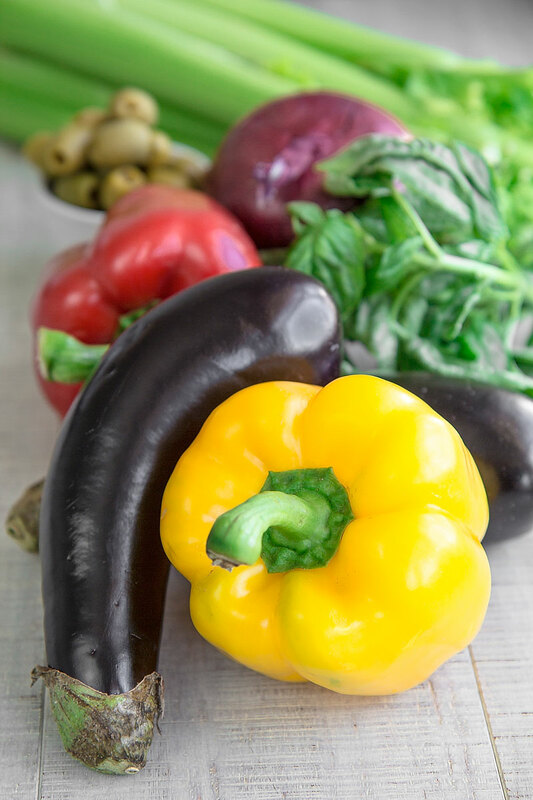 The main difference between the Caponata Catanese and the other Sicilian variations is the adding of bell peppers. Some families also add diced potatoes. Since from the 1869, some families like Pensabene and Contorno, started the industrial production of Caponata. 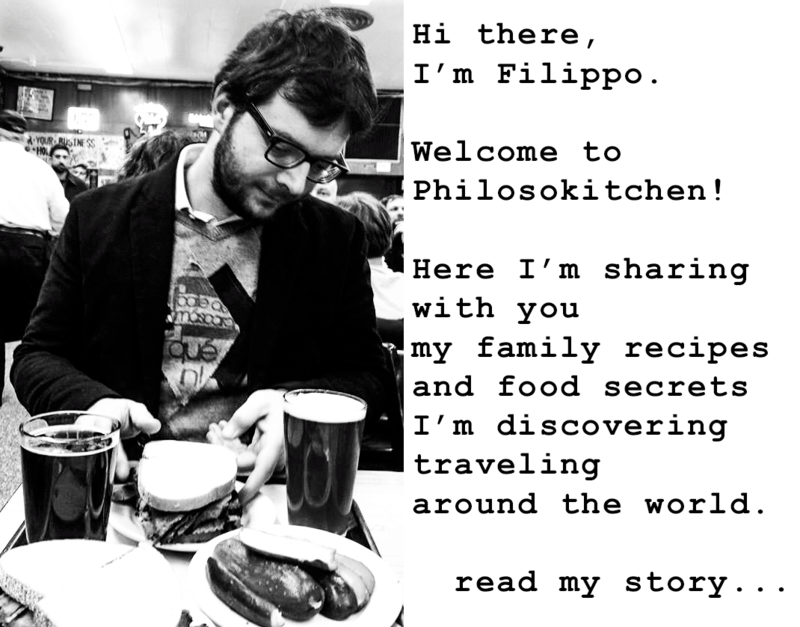 On 1916 has been created a new recipe, more light and without the typical sweet and sour taste of Agrodolce sauce: the Caponatina. In the Caponatina recipe, the veggies are diced more finely, and often baked instead of fried. 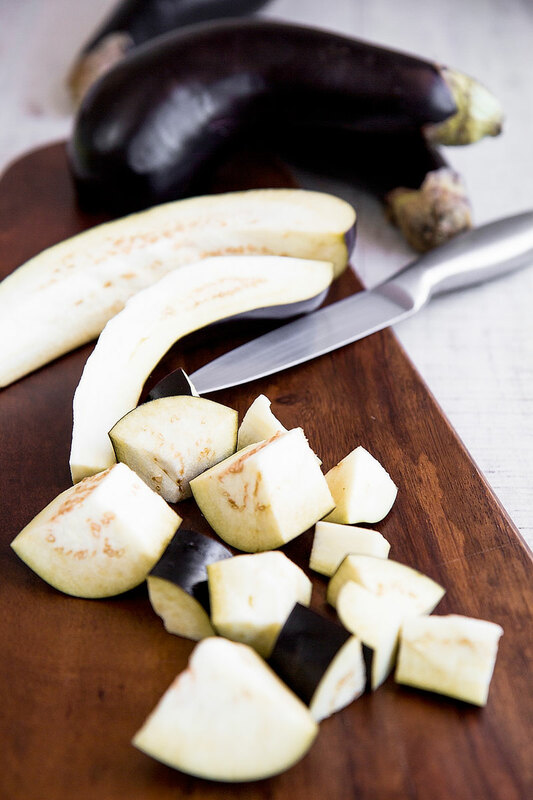 EGGPLANTS – The best eggplants to prepare the Caponata are the purple-black little or baby eggplants skin on: you want not to peel them to save all the different flavors of the eggplants. The salt purging is strongly recommended. First of all, soak the capers 2 hours at least in a bowl filled with water to discard the salt, replacing the water a couple of times. If you decide to use capers in vinegar, just avoid this last step. 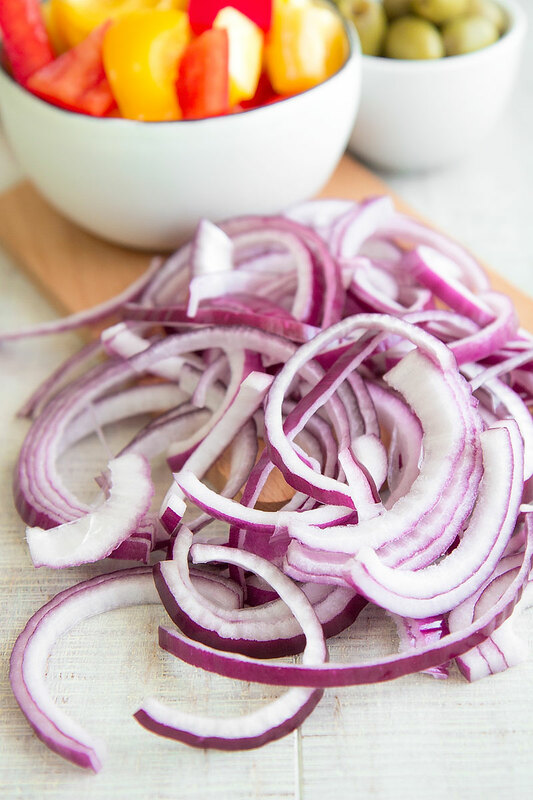 Peel and reduce a half red onion into slices about ½ inches thick, then sauté them over medium heat along with 2 tbsp of olive oil and 1 pinch of salt until tender and translucent. At this point, add the tomatoes puree and cook 15 minutes more. Finally, turn off the heat and put the saucepan aside. Now, rinse the Bell peppers, then discard the stems and the seeds, and reduce the vegetables into pieces as big as the eggplants. If you opt for the potatoes version, peel and dice the potatoes, then add it into the soffritto along with the pepper pieces. Cook until the vegetables are done, but still in shape. If needed, add a few tbsp of hot water. At this point, pour 1.5 cups of olive oil into a saucepan and heat until the oil reaches 335° F (170° C). Then, fry the eggplants a little at a time until golden. Finally, raise the vegetable cubes and dry over paper towels. After that, place the saucepan over the heat. Eventually, add the vinegar and the sugar, raise the flame, and sauté 10 minutes more. Finally, add 1 tbsp of toasted pine nuts, and optionally the raisin, then cook 3 minutes more. Immediately after cooking, the Caponata is not ready to serve; it’s need of 1 night into the fridge to melt the flavors together. 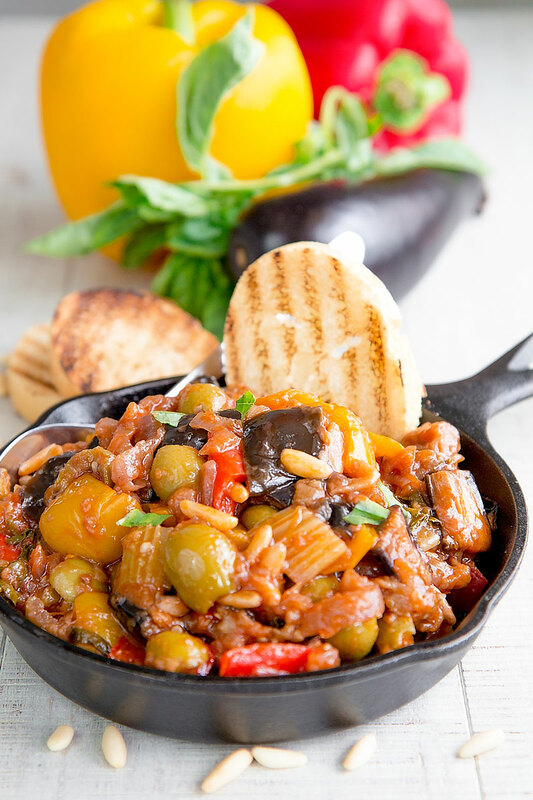 Before serving, let the Caponata rest 30 mins at room temperature, then pair with bruschettas, grilled meats or fish.